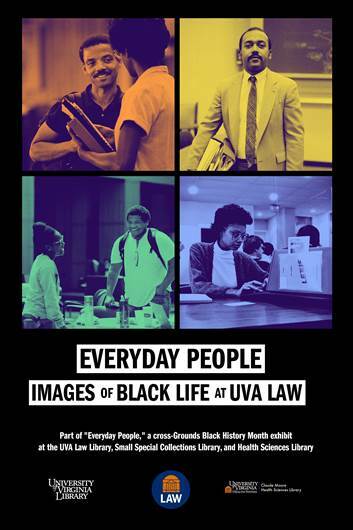 The Law School is installing its “Everyday People” on Monday February 4th on the second floor of the University of Virginia Law library. This mosaic of roughly 100 photographs highlights the contribution of black students, staff, and faculty to the everyday fabric of life at the University law school from 1950 to the present. It will run for the month of February. This entry was posted in Uncategorized on January 31, 2019 by Lynn Boyd.